The Westin Maui Resort and Spa presents an elegant and contemporary destination wedding with a name that already represents world-class service. 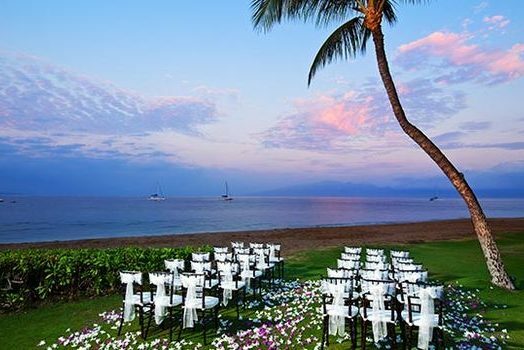 The oceanfront location would be perfect for a beautiful wedding ceremony, and beyond the festivities, you’ll find enticing dining options, cultural musical performances, and the signature Kaanapali beach which the resort rests on. The five-pool aquatic playground will surely entertain younger wedding guests. Waterslides, waterfalls, and a swim-through grotto will entice more experienced swimmers. 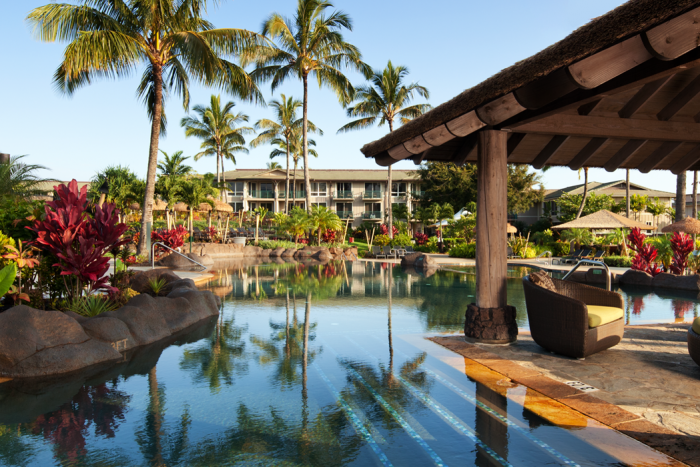 There is a daily resort fee, a common theme for resorts in Maui. Shuttle service is provided from the airport, and also to and from local popular spots! Snorkeling excursions are available along with the world-class Kaanapali Golf Course on-site. The entry-level Ekahi package welcomes up to 16 guests, the afterword romantic dining experience can be extended to include others at a rate of $200 per person. It is important to note that our wedding packages in Hawaii do not include the cost of a reception, other venues, food, or drinks within the package pricing. Inquiries for these additional services must be made separately. Upgraded packages, additional guests, and add-ons are available for an additional cost. 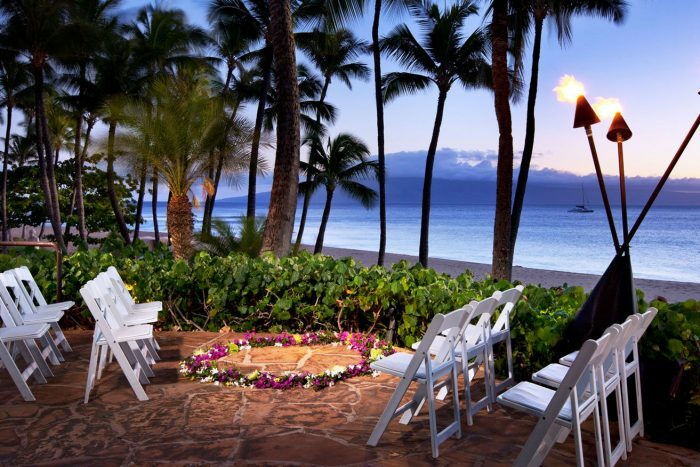 Oceanfront Lawn – 50 guests max, Aloha Pavilion – 40 guests max, Lokahi Point – 15 guests max, Hale Aloha Gazebo – 6 guests max. 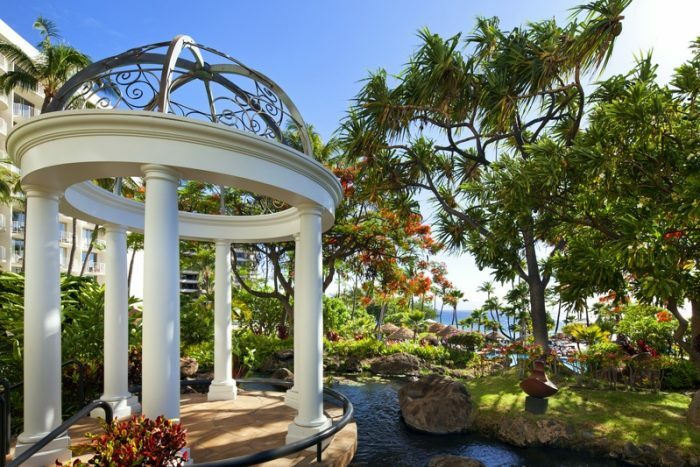 Westin Maui typically hosts up to 2 weddings per day. $350 – $420 average price per night for 2 adult occupancy. Rooms include luxury bed, mini fridge, and balconies. 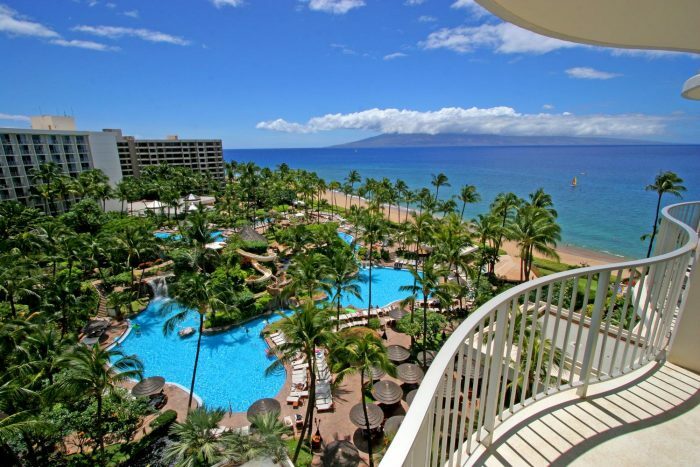 There are 759 rooms with resort or ocean views. The resort is able to accommodate mobility-impaired guests. This hotel allows a maximum of 4 adults per room or 2 adults and 2 children 17 and younger. The resort is located 5 miles from the JHM airport.